This centre offers two work spaces, one at 125 Sq Ft and the second space at 175 Sq Ft. The building has many fantastic facilities such as 24 hour access, toilets on the ground floor, a reception and onsite car parking. 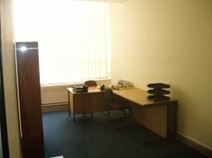 The work space is located in Wednesbury and is within walking distance to the National Express Midland Metro. There are a variety of places to eat around the work space, and also recreational activities such as a fitness centre located nearby. 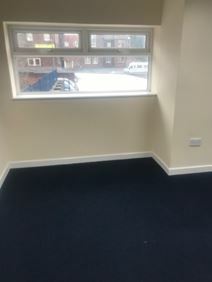 Two floors of fully fitted and serviced office suites are available in peaceful setting by sports field giving tranquillity of working environment mere minutes’ from Wednesbury town centre. Tenants can enjoy access to a host of business facilities such as friendly professional reception staff, equipped meeting/conferencing and kitchen spaces & facilities, secretarial support, business postal address and telephone answering in your company name, direct dial if preferred and fax/photocopy. Convenient location, close to Midland Metro station and linked by road to Black Country spine road and M6 J9, M5 J1 (5 minutes). Benefit from flexible licence agreements and secure parking.